Helen Peabody 1855-1888: Helen Peabody was born in New Hampshire in 1826. She was the youngest of fourteen children. 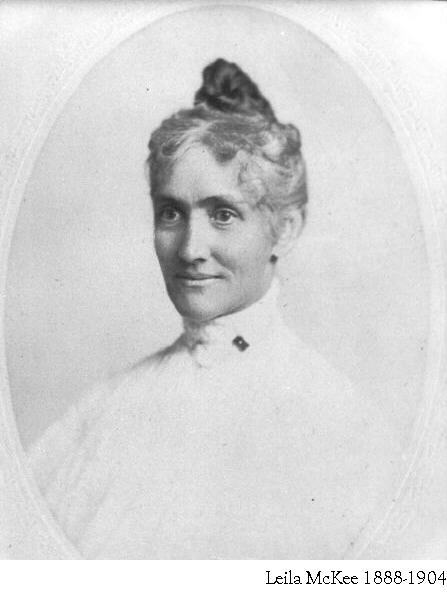 Helen Peabody was graduated from Mount Holyoke in 1848 and remained as a teacher for five years. 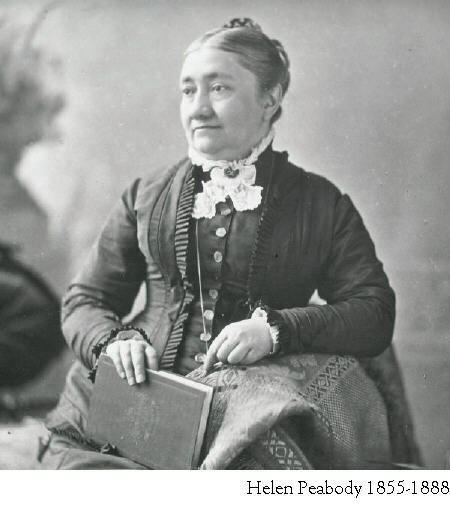 She moved to St. Louis to be with her brother; however, in 1855 she was encouraged to become the first principal of the Western Female Seminary. Having been a student of Mary Lyon, the founder of Mount Holyoke, Miss Peabody was qualified to establish a “Mount Holyoke in the West.” She was principal from 1855 to 1887 when when she took a leave of absence for a year. 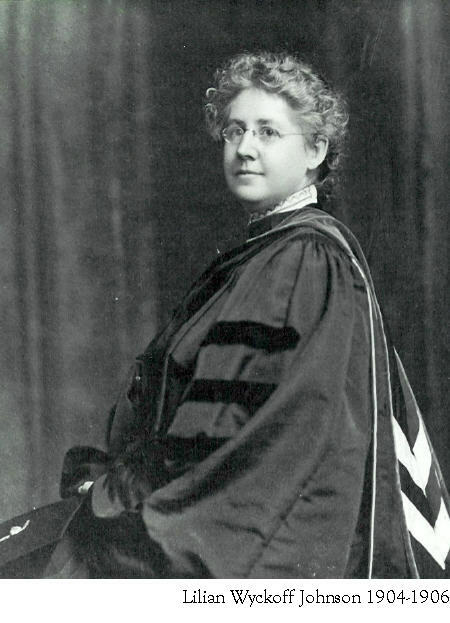 She presided over the 1888 commencement and announced her retirement after thirty-seven years at Western. Miss Peabody moved to California where she died in 1905. Leila McKee 1888-1904: Leila McKee was born in Kentucky in 1858. Her father was Vice-President of Centre College in Danville, Kentucky. She graduated from the Western Female Seminary and then received A.B. degrees from Centre College in 1885 and Wellesley in 1886. In 1892 she received an honorary M.A. degree from Centre College and a Ph.D. degree in 1892. Western College conferred a LL.D. degree on her in 1927. In 1888 she was selected as the second principal of the Western Female Seminary; during her term she was made president of the school. The 1890’s and the years of President McKee were the most important in the history of Western. One of the major changes was the Seminary became The Western College for Women, a liberal arts college for women. New courses were added as were male teachers, something Miss Peabody would not do. Alumnae Hall was built in 1892 and a dorm in 1905. The name of the dorm was McKee Hall in President McKee’s honor. In 1904 Miss McKee resigned and married James B. Welsh of Kansas City. She died in Kansas City in 1938. Lilian Wyckoff Johnson 1904-1906: Lillian Wyckoff Johnson was born in 1864. Her family was active in education. Her father had started night classes for orphan boys who would roam the streets of Memphis. Her mother taught Sunday School and headed a group of twenty ladies who taught the poor to sew. At age 15, Lillian attended Wellesley and later received her bachelor’s degree from the University of Michigan. She returned to Memphis and joined the faculty of Clara Conway Institute. She taught history at Vassar for five years and then studied abroad at Sorbonne and Leipzig. In 1902 she became the first woman in the United States to get a doctorate from Cornell. She was president of Western College for two years, 1904-1906. She resigned from her position in 1906 due to poor health. John Grant Newman 1908-1912: The first man to become Western College’s president, John Grant Newman was born in 1863 in Tennessee. He was a Presbyterian Minister having received his training at the Union Theological Seminary in Union, New York. Newman was president from 1908 until 1912 when he realized he was happier as a minister in a church. After resigning from Western College, he became pastor of the Chambers Wylie Presbyterian Church in Philadelphia; in 1939 he became pastor emeritus. He passed away in 1956 at the age of 93. During his presidency academic standards were raised and the yearbook “Multifaria” was first published. The first issue of “Multifaria” was dedicated to President Newman. William Waddell Boyd 1914-1931: President William Waddell Boyd was born on March 8, 1862 in Pennsylvania. He graduated from Marietta College in Ohio in 1884. 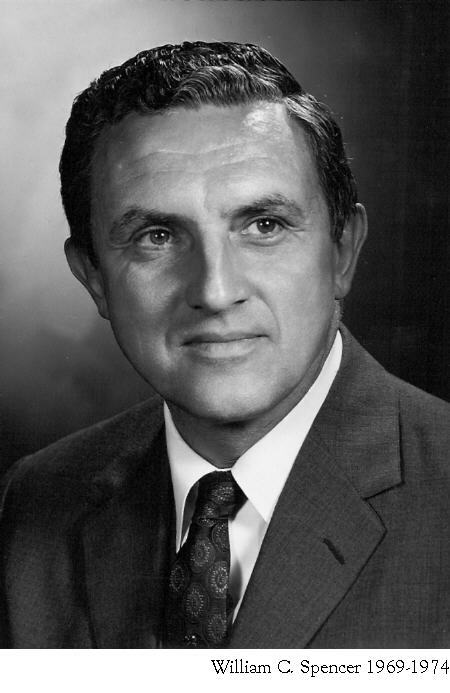 Dr. Boyd held various positions in education in Ohio and was asked to become the first dean of the newly-formed College of Education at Ohio State University. He was at Ohio State for seven years; in 1914 he accepted the presidency of Western College. He was president until 1931. During President Boyd’s term many changes occurred on Western’s campus. Patterson Place became home of the president; Ernst Nature Theatre was dedicated. Four buildings were built: Kumler Chapel, Presser Hall, Mary Lyon Hall, and the Lodge. The first artist-in-residence at any college was Edgar Stillman Kelley of Western College for whom the students built a house. President Boyd began tours of Europe for Western students. During the United States’ involvement in World War One, students called “Farmettes” helped the school by planting Victory Gardens. 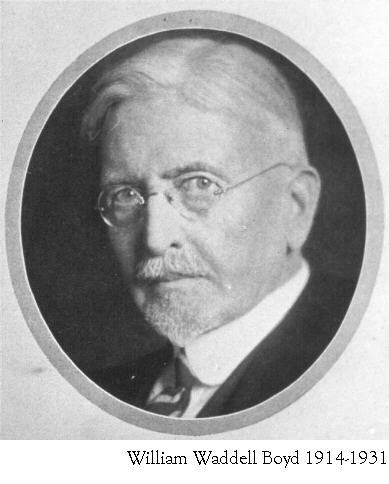 Dr. Boyd retired in 1931. Dr. Boyd’s daughter Marion was educated at Western. After graduating she taught at Western and later at Miami. She married Walter Havighurst, a professor at Miami. Ralph Kiddoo Hickok 1931-1941: In 1930 Dr. Ralph Kiddoo Hickok accepted the position of President of Western College. He was president for ten years, 1931-1941. 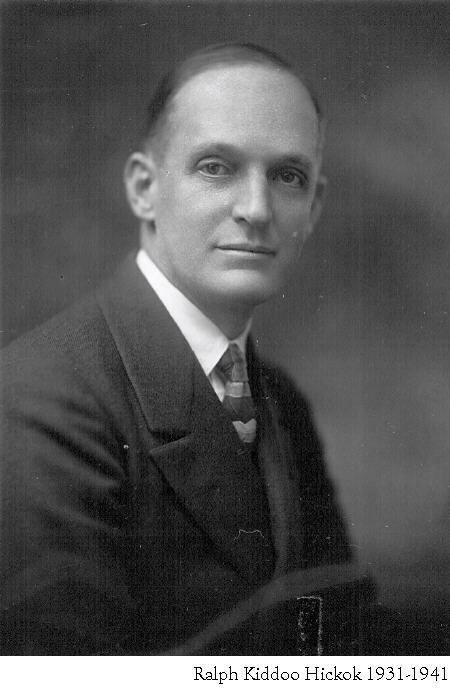 He was born in 1880 in Nebraska and educated at Wooster College and Princeton University. 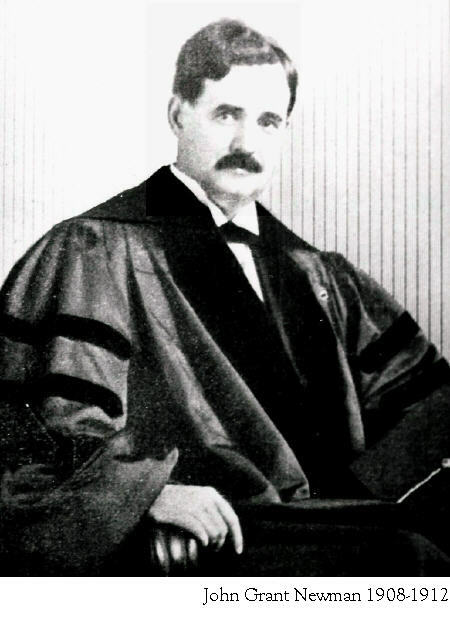 Prior to becoming Western’s president, Dr. Hickok was pastor of the Presbyterian Church in Brooklyn, New York. The Great Depression hit Western very hard. Salaries of faculty were cut and enrollment declined. Even though he faced these problems, Dr. Hickok was the first president to gather the history of Western. He formed a faculty club, started the first student newspaper “Western Round Up” and relaxed many of the rules for students. An orientation week was started in 1938 for incoming students. In March 1941, President Hickok suffered a serious heart attack and resigned in February in 1942. 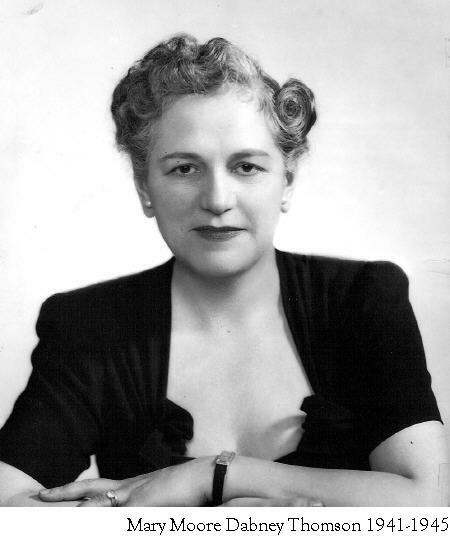 Mary Moore Dabney Thomson 1941-1945: President Thomson headed Western from 1941 to 1945. She was born in North Carolina in 1886. Although her husband passed away in 1939 leaving her to raise their five children alone, she was nominated for “Mother of the Year” in 1942. These were the war years and Victory Gardens were planted. The girls learned to use marionettes and traveled throughout the United States giving shows. Six-week summer courses were started. President Thomson resigned in 1945 for reasons of health and family. Philip Eldon Henderson 1945-1951: Having been Assistant to the President and then Vice-President of Western in 1941, Philip Eldon Henderson was very familiar with the school. He was appointed President upon President Thomson’s resignation. He was born in Lynchburg, Ohio, in 1901. He received his degrees from the University of Colorado (AB) and the Harvard Graduate School of Business Administration (MBA). During his term both Clawson Hall and the new science building (later Boyd Hall) were built. He resigned in 1951. 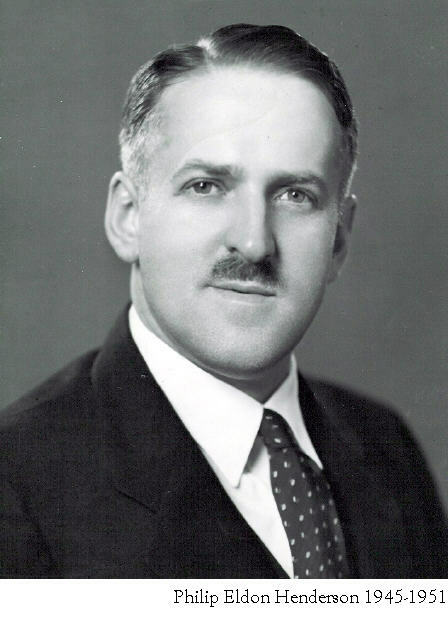 Edmund Harris Kase, Jr. 1951-1953: President Kase presided over Western for only two years, 19551-1953. 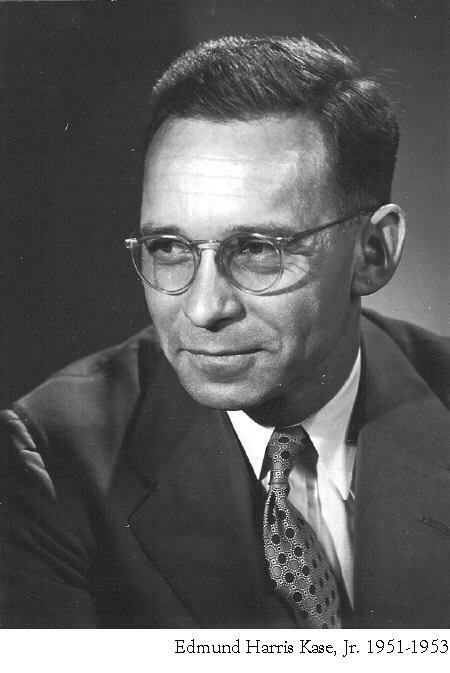 He had been educated at Princeton and came to Western with many new ideas; however, he could not connect with the college and resigned in 1953. 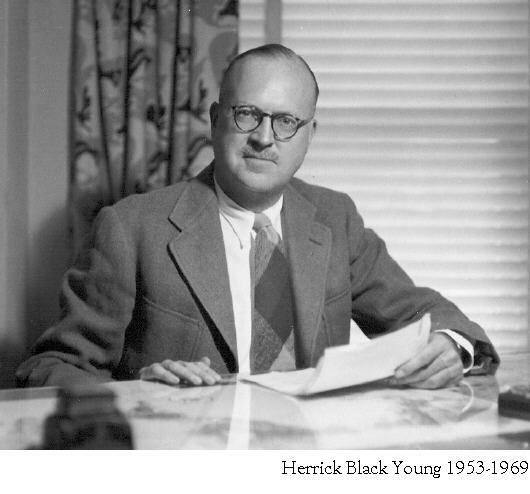 Herrick Black Young 1953-1969: Herrick Young was President of Western from 1953-1969. Born in Wisconsin in 1904, he was educated at the Indiana University (AB) and Columbia University (MA). Having been executive secretary of the Presbyterian Board of Foreign Missions for 15 years, he had traveled extensively and established connections in many other countries. At the time he was elected the new president of Western, Young was executive director of International House Association. The group had international houses in 33 countries, every one of which he had visited. President Young made many significant decisions while at Western, one of which brought international attention to the college. He allowed the Civil Rights workers to train on the Western campus in the summer of 1964 before going to Mississippi to register African American voters. Three of the first men to train at Western that summer entered Mississippi and were murdered. President Young reinstated the overseas seminars and brought many foreign students to Western. Thomson Hall opened while President Young was at Western. William C. Spencer 1969-1974: President Spencer was born in Pennsylvania in 1920. He received his degrees at Drew University (BS) and Columbia University (MS and Ph.D.). Prior to coming to Western, he was a special assistant to the president of Columbia where he coordinated the capital funds campaign seeking to raise 200 million dollars. President Spencer hoped to help Western by implementing new programs and admitting men. Unfortunately these ideas were not enough to solve Western’s financial woes; thus, he met with Miami’s President Shriver in hopes of working together to help Western. This collaboration did not prove helpful to Western for Miami made most of the decisions. Western closed its doors as a college in 1974 and merged with Miami that same year.